You can’t wait until customers leave to begin addressing their needs. 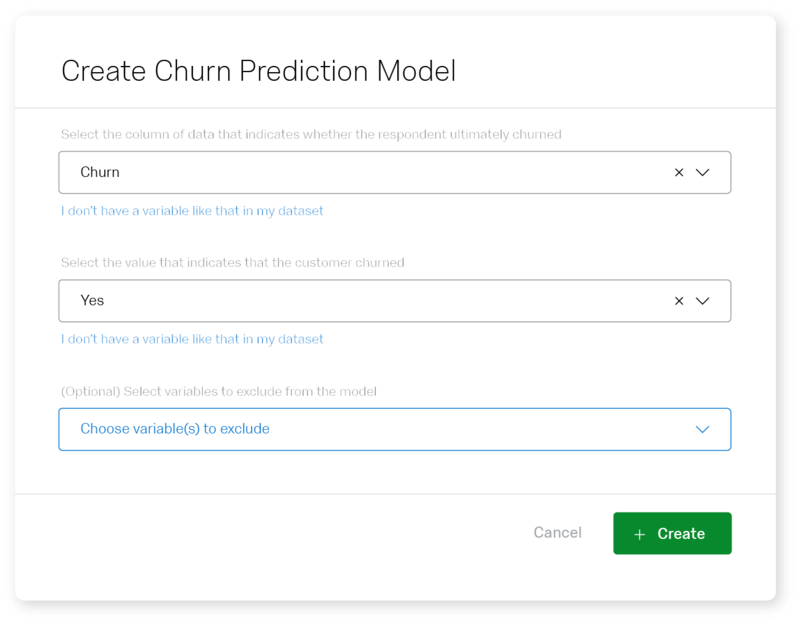 Qualtrics Predict iQ leverages deep learning neural networks to identify customers and accounts likely to churn, and provides the visibility to know what is driving that behavior. You get the insights you need while avoiding days or weeks of tedious analysis. Skip days or weeks of producing models and building software. 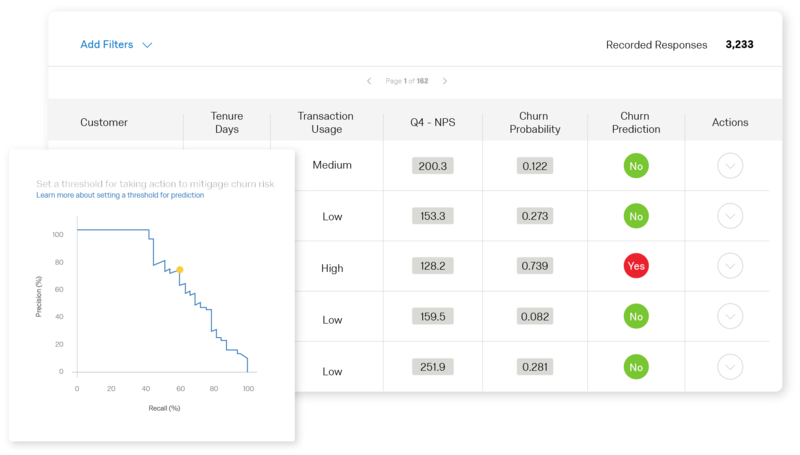 Predict iQ works with your existing experience data and does the crunching for you, so you get results faster.